Typically, we spend the last two months of every year giving thanks, spending time with family and reflecting on the past year. For me and other survivors, this time of year is extra special. We see the holidays through a different lens than most people. We feel an overwhelming sense of gratitude and blessing. For me, I also celebrate my birthday. 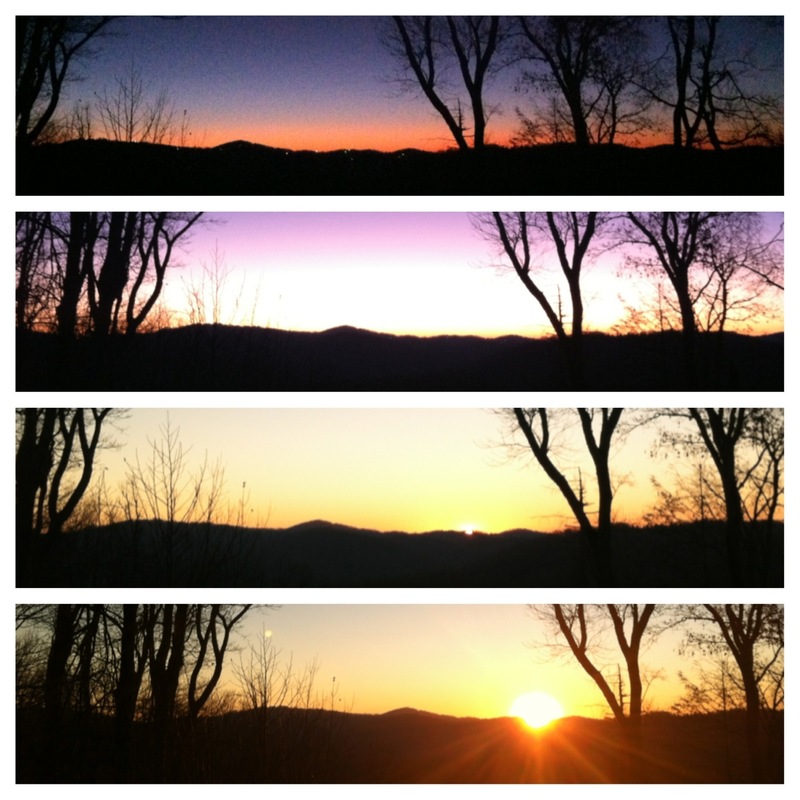 This year I spent my 40th birthday watching the sunrise in my favorite place on earth…the mountains. I must admit I had never watched a sunrise from complete darkness. It was an incredible time with just me and God. My heart rejoiced in the beauty and artistry of His handiwork. I felt small compared to His great creation, yet loved as He painted the sky purple, blue, pink and orange. Today I am celebrating Christmas; the birth of Jesus. I am so thankful for all He has done for me. I will never have enough words to thank Him, yet I try everyday. My family is growing and changing. As my kids are getting older we are adding their friends and loved ones to our family. I have fought so hard to be here for my kids. And it is difficult to see them preparing to leave the nest. One day I asked God, “Why did I fight so hard to be their mom when they are preparing to leave”? His answer: “So you can watch them fly”. I am blessed to be here to watch them spread their wings and prepare for flight. It brings tears of joy and sadness. I continue to seek opportunities to meet other survivors, co-survivors and those who have lost loved ones. I recently spoke with a mother who lost her 31year old daughter from the same type of breast cancer in which I had been diagnosed. It was a sobering day for me, but also gave me greater awareness for what God has truly done in my life. Every week I receive calls and messages from people who have been diagnosed with cancer or who know of someone recently diagnosed. I reach out to each one and offer my support and prayers. Some are receptive to having a new friend in their life and others just are not ready yet. But I pray for each person daily. I also pray God will continue to use me to help others. And finally, I will be having surgery this Friday to deal with other issues unrelated to the surgeries I had earlier this year. I will be staying overnight in the hospital and recovery is expected to be 3-4 weeks. Please keep me and my family in your prayers. This entry was posted in From Her. I have continued to pray for you every night. God has special plans for you on earth. May His blessings continue for you and your family. Wishing you a speedy recovery. We know that God has a special plan for each and every one of us. It is with much wonderment what He will call on us to do. He has prepared you for greatness….it is no secret what God can do…what he’s done for others…he will do for you. I am excited for you and your next chapter of whatever God has in store….you will spread your wings…like your children and fly even higher.Praying for your strength,wisdom and courage that only God can provide.You are in great Hands!! 4 Another Year Older – "Keep It Moving"